Graeme McDowell earned a date with Arnold Palmer and a Masters boost with a red-hot finish in the WGC-CA Championship. The Ulsterman’s closing 66 saw him tied for sixth behind Ernie Els at the Blue Monster to seal his place in the world’s top 50. And that means he is guaranteed an invite for next week’s Arnold Palmer Invitational at Bay Hill and the perfect warm up for Augusta. McDowell said: “I knew that I was under pressure to fall out of the top-50 after this week. I needed a big performance and thankfully I gave one. Up nine spots to world No 41, McDowell grabbed his best PGA Tour finish when he was second to Vijay Singh at Bay Hill in 2005. Padraig Harrington had to settle for a share of third behind Els but he was looking on the bright side despite a mediocre closing 72. Back to 10th in the world rankings, Harrington said: “My bunker play was just not with it and my pitching could have been a bit better. Hoping for a boost as he heads to Augusta for three days practice this week, he’s still troubled by a back strain and struggling with his game. With young guns Jordan Spieth and Patrick Reed giving the Arnold Palmer Invitational a miss following Sunday’s playoff dramatics in the Valspar Championship, it’s over to Rory McIlroy to put his recent frustrations behind him an reassert himself on his debut at Bay Hill. 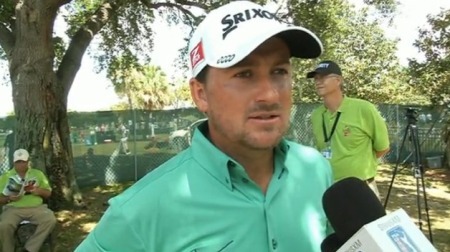 Graeme McDowell felt he was close to a “big result” when he left Isleworth for Bay Hill earlier this week. He got the first part right. The quadruple bogey eight he carded on the 18th in the second round of the Arnold Palmer Invitational was certainly big but the result was that he carded a four over par 76 and missed the cut by two shots in his final warm up for the Masters. Ouch. Graeme McDowell in action during the Accenture Match Play Championship from The Ritz-Carlton Golf Club, Dove Mountain. (Photo Eoin Clarke/Golffile 2011)Graeme McDowell can take a giant step towards becoming Ireland’s first world No 1 in the Arnold Palmer Invitational at Bay Hill. And his former World Cup partner Paul McGinley is certain he won’t be scared of the opposition in his bid to get there. 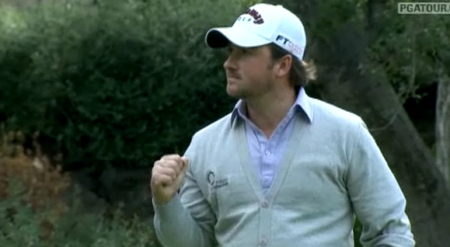 Graeme McDowell has been brilliant from tee to green at Bay Hill. On Friday, the putter was working too as he used the blade just 28 times.Graeme McDowell fired a flawless, nine under 63 to exact some revenge on Bay Hill as Tiger Woods and Charlie Wi took command in the Arnold Palmer Invitational. Graeme McDowell might have holed a monster 75-footer for eagle in his 68 but Pádraig Harrington showed he can still putt a bit as he opened with a scrambling 70 in the Arnold Palmer Invitational at Bay Hill.